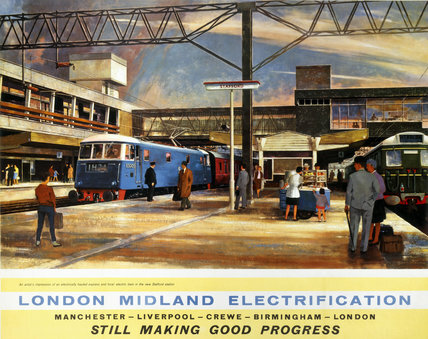 Poster produced for British Railways (BR) London Midland Region to promote the progres made on the electrification of the railways. The poster shows an electrically-hauled expres at Stafford Station. Artwork by Greene. Dimensions: 1010 mm x 1270 mm.